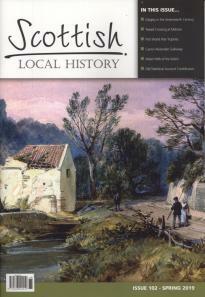 Scottish Local History Forum is committed to ensuring that your privacy is protected. Should we ask you to provide certain information by which you can be identified when using this website, then you can be assured that it will only be used in accordance with this privacy statement. 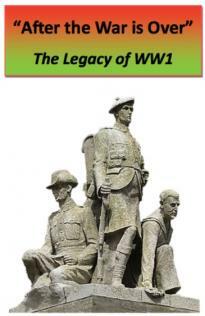 Scottish Local History Forum may change this policy by updating this page. You should check this page from time to time to ensure that you are happy with any changes. On 25th May 2018 the General Data Protection Regulation (GDPR) - EU Regulation 2016/679 - comes into force. The Regulation confers upon charities the obligation to be explicit about their retention of personal information, and, under normal circumstances, prohibits charities from holding and using individuals’ personal information without their explicit and freely-given consent. 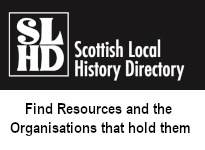 The Scottish Local History Forum (SLHF) is a charity registered in Scotland. It collects and stores the personal information of its members and of other individuals submitting details of events, news items, projects, resources and profiles of their organisations to our website and also individuals purchasing items (including membership) online via our website. Note additional information (such as financial information on debit/credit cards) may be provided by the member via the SLHF website to PayPal in order for them to process online payments. This information is not accessed or stored by SLHF. This information is collected through completed membership forms (hard copy or online), through any additional correspondence between individuals and SLHF, and through online forms purchasing items or submitting details of events, news items, projects, resources and organisation profiles to our website. We require this information simply to be able to maintain our membership records, reply to your enquiries, process orders, or publish information on our website about your organisation, news, projects, events and resources. Some of the personal information of individuals submitting details of events, news items, projects, resources and profiles of their organisations to our website will be publicly displayed on the website (as indicated in the online data entry form) to enable members of the public to get in touch. Other information (as indicated on the online data entry form) will only be available to website administrators and will be used to contact the originator of the information to request updates to their entry. Members are asked to provide SLHF with an unambiguous statement of consent to the use and storage of their personal information as here described. Consent thus granted will be considered to have expired after ten years, although consent may be withdrawn at any time by a member who wishes to do so by communicating their intention to the Honorary Secretary of SLHF via the SLHF website Contact Form (selecting 'Data Privacy' as the category of enquiry). Please note that granting of consent is a condition of membership of SLHF and that failure to do so or subsequent withdrawal of that consent constitutes resignation of SLHF membership. Individuals purchasing items from or submitting details of events, news items, projects, resources and profiles of their organisations to our website are asked to provide SLHF with an unambiguous statement of consent to the use and storage of their personal information as here described. Consent may be withdrawn at any time by an individual who wishes to do so by communicating their intention to the Honorary Secretary of SLHF. Please note that granting of consent is a condition of purchasing items from or submitting information to be displayed on the SLHF website and that failure to do so or subsequent withdrawal of that consent will result in the relevant entry being deleted from the website. Members should complete the relevant section of the membership form and return it to the Membership Secretary of SLHF or tick the relevant box in the online membership form. Failure to tick the relevant box will result in the online membership form being rejected. Individuals purchasing items from or submitting details of events, news items, projects, resources and profiles of their organisations to our website are asked to tick the relevant box in the online data entry form. Failure to tick the relevant box will result in the online data entry or purchase form being rejected. Communication with members and individuals purchasing items from or submitting details of events, news items, projects, resources and profiles of their organisations to our website will normally be by email where an email address has been provided. Requests for communication by channels other than email will be honoured wherever reasonably practicable. Some communications (eg notice of AGM etc) will be through inserts in or copy within the SLHF Journal which is posted to members. Members and individuals purchasing items from or submitting information to the website have the right to ask at any time for a copy to be provided them of the personal information that SLHF holds for them, and they have the right to correct this information. The Hon Secretary will comply with any member request for rectification or deletion of personal information of this kind as soon as is reasonably practicable (eg subject to extended absence on holiday). We are committed to ensuring that your information is secure. In order to prevent unauthorised access or disclosure, we have put in place suitable physical, electronic and managerial procedures to safeguard and secure the contact information we collect online. All published email addresses are obfuscated to prevent collection by spam agents. All website pages are secured using GeoTrust SSL Certificate (Secure Sockets Layer), and online purchases are via PayPal's secure payment system. Members’ personal information is held and stored by the Membership Secretary and the Honorary Secretary of SLHF. The information may be shared with other Trustees. The name and address of current members is also shared with the publisher of our Journal (currently MD Print and Design) for the purposes of its distribution by post. If you do not want to accept cookies from our website you can configure your web browser to not accept them. Please refer to your web browser's operating instructions for how to do this. Complaints or queries about data handling or privacy should be directed in the first instance to the Hon Secretary of SLHF via the Contact Form on the SLHF website, selecting 'Data Privacy' as the category of enquiry.